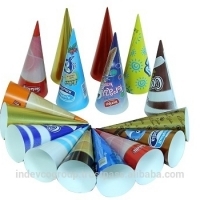 Ice Cream Cone Sleeves by Indevco Sal. Supplier from Lebanon. 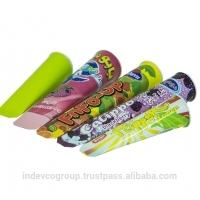 Product Id 548055. Filling capacities are available in 110, 115, 120, 135 and 150 ml. We also produce mini cones. Search More Like "Ice Cream Cone Sleeves"